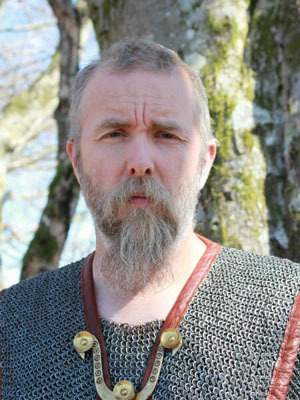 In the early hours of the morning on Saturday, black metal legend and media icon Varg Vikernes was arrested by French police on suspicion of being the mastermind of a devious plot to cause mayhem in France. Vikernes, who was staying at L’Hotel Aisselle in Paris, purchased a bag of oranges and flushed one down the hotel’s toilet “in the name of Odin”. The event, which led to Vikernes’ arrest and incarceration, caused him to be immediately suspended as host of the top rated Norwegian children’s television show “This Little Quisling”. By flushing the oranges, Varg hoped to destroy the hotel’s plumbing causing untold confusion and panic in the city, eventually leading to the collapse of the French government. In the ensuing chaos, the government would be replaced by a proto-fascist black metal dictatorship. After the first orange was flushed, Vikernes was captured by an alert member of the hotel’s maintenance staff and detained until French police arrived. During a 47-hour interrogation, Vikernes revealed he was planning an orange flushing spree throughout the city of Paris that would “rival the German invasion of France in the 1950’s”. Vikernes is no stranger to controversy. Back in 1992, he was arrested in Trondheim for feeding seagulls Alka-Seltzer in an attempt to cause them to explode. 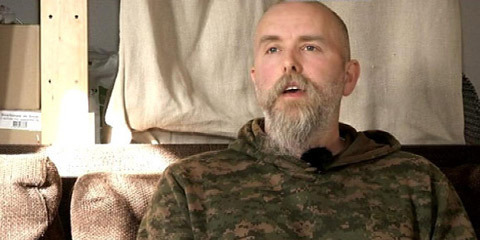 During a 1993 sleepover, Varg was accused of putting warm water in Mayhem vocalist Attila Csihar’s hand in an attempt to cause him to wet his bed. Charges in both cases were dropped for lack of evidence, but in 1994, Varg was given six months in prison for putting a whoopee cushion on the chair of Trondheim mayor Marvin Wiseth’s chair during a press conference moments before he sat down. While in prison, Vikernes dreamed up the musical project he’d be best known for, Burzum. Using a diabolical mixture of raw black metal and elevator music, Vikernes’ has inspired a generation of talented, potentially employable young people to pursue careers in creating poorly produced, inaudible music for almost no one. His music, which is both deeply personal and horribly unlistenable (much like the poetry of an alienated, disaffected 6th grader), pays homage to Varg’s two greatest influences, Adolf Hitler and Andrew Lloyd Webber. The threat of oranges being flushed down the toilet is not only considered a major concern in France. In an effort to protect Americans from dangerous orange flushing related activities, the US government today banned all oranges from domestic and international flights, wiretapped the phones of twelve Carmelite nuns in Arizona suspected of “orange-growing activities” and used drones to attack a village in Pakistan.